Green Garden Showcase Recruiting Volunteers this Sunday February 12th! The time is rapidly approaching for the amazing, informative, growing and very popular, Green Garden Showcase! 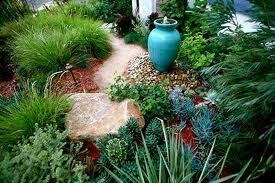 Showing great community support, signups for the gardens for the 4th Annual Mar Vista Green Garden Showcase have been a huge success and all are chosen. A big 'Thank You' to everyone who offered their garden or contacted a neighbor! This is our community in action...neighbor to neighbor, everyone helping out. This year there will be close to 40 new gardens and almost 90 in total. Many homeowners are opening their backyards for this amazing tour. Come by the Green Tent this Sunday and get a preview of some of the very special stops on the tour. "The tour this year will showcase drought-resistant landscapes and edible gardens with sustainability features ranging from composting techniques to water capture practices. 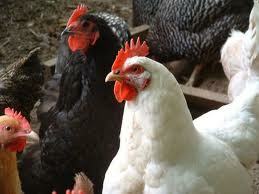 Urban farms range from 'aquaponic' farming to chicken coops. This year the tour places special emphasis on the critical need for ocean friendly gardens and California native gardens that support much needed pollinators such as honey bees and monarch butterflies. See how creating outdoor rooms provides much more useful livable space than a traditional lawn and creates a sense of community." We still need your help! -There are many opportunities to contribute an hour or more of your time to make the 2012 Showcase a huge success. Photographers, docents, signage team, data entry and refreshment czar are some of the areas where we can use a hand. And don’t forget to mark your calendars and tell your friends and family. April 21, 10:00 am to 4:00 pm is the date of this year’s tour. Honey Love visits this Sunday February 5th! 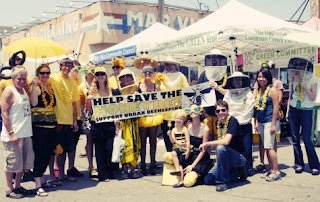 Husband and wife team Rob and Chelsea McFarland started HoneyLove as a nonprofit conservation organization with a mission to protect the honeybees and inspire and educate new urban beekeepers. Over the last three years, more than one in three honeybee colonies collapsed nationwide, a phenomenon now called Colony Collapse Disorder or CCD. According to the USDA, about one-third of our food is thanks to the work of bees, making CCD one of the broadest environmental and food security challenges of our time. Discover what you can do to help support our bee populations. Check out their educational videos here! 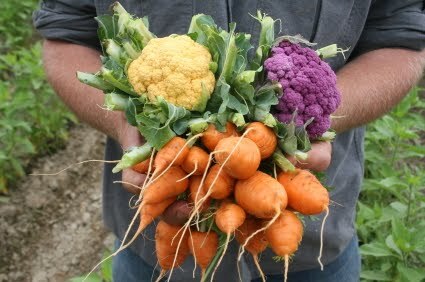 Urban Organic Gardener's visit the Green Tent Sunday January 29th! One of the great things about living in Mar Vista is how environmentally conscious the neighborhood and its residents are. The Green Garden Showcase is a perfect example of that. 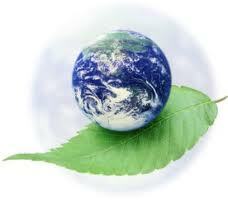 It serves as an example of how we can all live a bit more sustainably. Not all of us have that kind of land and space though. There are many apartment dwellers that reside in Mar Vista. So what can they do to participate? Mike Lieberman of Urban Organics will be our presenter at the Green Tent this Sunday. He can show you how to maximize the little space that you have to grow your own food. 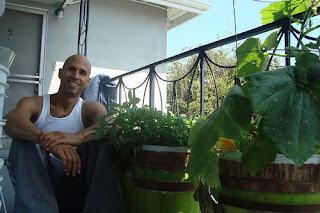 Mike is the publisher of UrbanOrganicGardener.com where he shows people with little to no land how to start growing their own food so they can avoid toxic pesticides, eat healthier and not feel limited by their lack of experience and space. These are written from his own experiences from growing his own food on a 2x3 fire escape in New York City and now a 13x4 balcony here in Mar Vista. I’ve been making and using these containers since I started. The design has evolved and the results have gotten better. They are easy to make, cost less than $5 and most importantly are effective. There’s no need to invest lots of money to create your apartment garden. Lots of local resources are available that are either free or have little cost to them. The information acquired when gardening used to be passed down from generation to generation. Unfortunately most of that information has been lost. Here are some things that I learned last year that I’d like to pass along to you. And there are plenty more to come, so be sure to stop by the Green Tent at the Mar Vista Farmer’s Market to say hello, get some apartment gardening tips and enter to win some great prizes. Connect with Mike at UrbanOrganicgardener.com, Twitter or Facebook. Our own Sherri Akers-Mar Vista Patch Person of the Year! Congratulations Sherri! We are so lucky have you working for our community-see article here. The UCCE LA County Master Gardeners are back with free seeds, seedlings and advice to give away at the Market on Sunday January 22nd. Since 1978, UC Cooperative Extension's Common Ground Program has made gardening possible for many Los Angeles County residents, particularly low-income and traditionally underrepresented families. The program goals are to improve nutrition; increase access to fresh, low-cost produce; offer gardening education; build bridges between neighbors and communities; help create employment opportunities; and encourage a cleaner, greener Los Angeles. 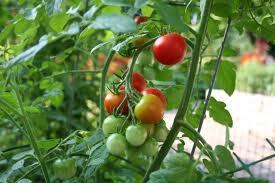 Families learn how to garden, grow their own food and prepare it in a healthful manner. In addition, the program trains community volunteers and Master Gardeners, who in turn, volunteer their time to community and school gardens. They will also be answering questions about the LA County Master Food Preserver Certification/Training program! The LA County Master Food Preserver Certification/Training program is now open for applications, deadline is Feb 10. If you are someone who wants to learn about all aspects of food preservation and food safety, then teach low-resource communities the same, and if you love to volunteer, this program is for you. Any blog posts/Patch posts/tweets/FBs would be appreciated. It's highly competitive -- and the people who are in the program are also charged with helping to rebuild it from the ground up, as it had been out of commission for 14 years until its revival last year, when two classes graduated. Henceforth, there will only be one class per year. Apply now! Sunday January 15th-Mar Vista Green Garden Showcase Signups! 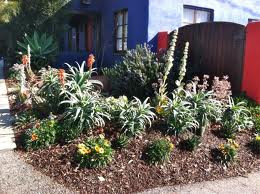 Have you heard about the Mar Vista Green Garden Showcase? Do you want to know more about it? 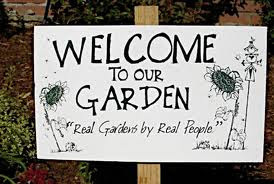 Are you wondering if your garden qualifies or what participating entails? I’m a landscaper…can I show my garden? I did it myself…can I be in the show? I’m transitioning to green…do you qualify? Is my garden in Mar Vista? Stop by the Green Tent this Sunday and have your questions answered. Last year, this giant Earth Day eco-festival featured over 80 gardens located throughout Mar Vista and attracted over 2000 visitors. There is a tremendous sense of community as residents from all over Southern California celebrate our shared vision for a greener life. Encouraging sustainability in daily living, we map six self-guided walking/biking Garden Tours. 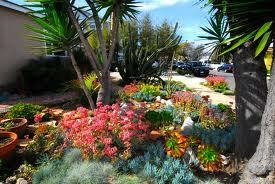 This year’s FREE fourth annual Mar Vista Green Garden Showcase is Saturday, April 21st, 2012 from 10 a.m. to 4p.m. Many new and returning gardens are already signed up and the deadline to enter is swiftly approaching. Click here to view them. This year the tour places special emphasis on the critical need for ocean friendly gardens and habitats that support much needed pollinators such as honey bees and monarch butterflies. We are also interested in multiple family dwelling units taking steps toward sustainability, perhaps with edible gardens, composting or drought-tolerant plantings. And we love do it yourself gardeners who share their knowledge and experience. Sustainable Works Back on January 8th! If one of your New Year's resolutions was to learn how to live more sustainably, to be more earth friendly or to go a deeper shade of green, Sustainable Works is here to help! They will be here to sign up willing participants for the next Green Living Workshops, one of their latest classes will be offered at the G2 Gallery starting January 25th. But check here for a class that is closest to you. Several of us at the booth are happy alums of this important, fun and informative course. See here .